Wine snobs beware, Missouri is being noticed more and more for the quality vintages produced from grapes grown in our rocky Missouri river soil. Willoughby would like to extend a well-deserved congratulations to our friend, client and winemaker, Jerry Eisterhold of Vox Vineyards. 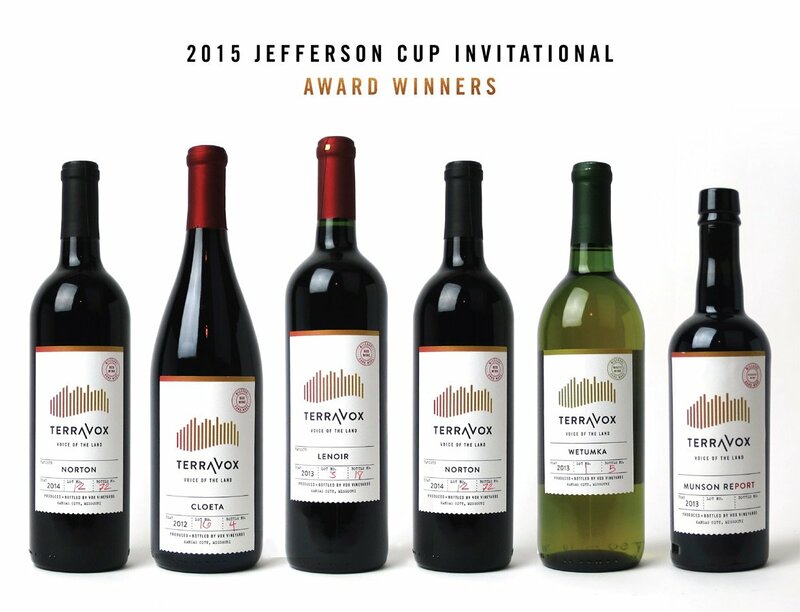 His TerraVox wines were recently awarded three Medals of American Excellence and three Medals of American Merit in the Jefferson Cup Invitational Wine Competition. Medals of American Merit identify the “most important and best examples of their region, style and variety.” This competition is invitation only and an example of the finest in America winemaking. We recently designed stunning new labels for all vintages of TerraVox. Some have whimsical names like CHATEAUNEUF DU PLATTE and CHATEAU CHOUTEAU NV. But don’t let the names fool you, these are high quality wines produced just north of Kansas City, from rare and carefully cultivated American Heritage Grapes. Jerry has worked for decades to create wines that truly reflect the perfect combination of sun, soil, rain and love. So congratulations, Jerry! We’re proud to have given TerraVox a beautiful new look that complements the beauty inside.